This Storage Tray features 18 compartments for beads, clasps, or anything small that you wish to organize. Includes a slide on plastic lid for secure storage. 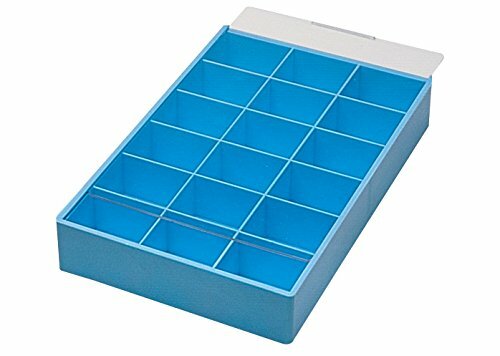 Overall size: 10" x 7" x 1-5/8"
This Storage Tray has 18 compartments for beads, clasps, or anything small that you wish to organize. Includes a slide on plastic lid for secure storage.